The Norwood Symphony Orchestra is a not-for-profit community orchestra, made up entirely of volunteer musicians and committee members. The proceeds of our concerts are used to cover our running costs such as insurance, publicity and hire venue. However, the orchestra is always in need of extra funding to purchase or hire items such as musical scores, music stands and instruments. Your gift to the orchestra helps us to continue proudly contributing to the local Adelaide music community. Since 1923, the orchestra has been nurturing musicians and soloists of all ages, allowing them to develop their orchestral playing skills, providing several performances each year to local audiences. Donations to the Development Fund may also be used to help fund the Norwood Symphony Orchestra Music Scholarship which is an exciting new program aimed at supporting South Australian students to pursue a career in classical music performance. If you'd like to know more about this exciting new initiative, please click on the above link. Yes. 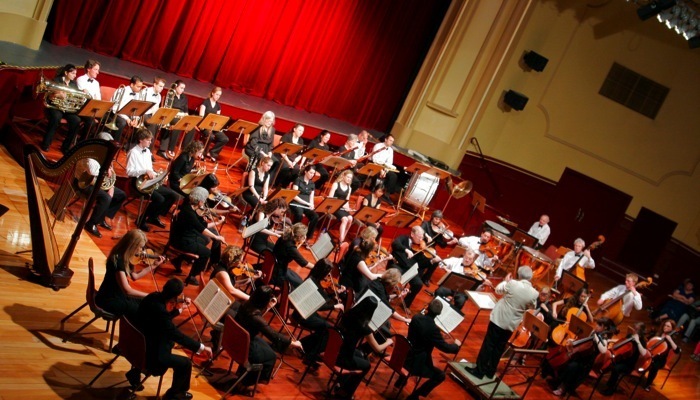 The Norwood Symphony Orchestra Development Fund is a tax-deductible fund listed on the Australian Government's Register of Cultural Organisations maintained under Subdivision 30-B of the Income Tax Assessment Act 1997. Donations of $2 or more are tax-deductible. Please click here to visit GiveNow.com.au where your donation by credit or debit card will be securely processed by Westpac. A receipt is emailed to you immediately once payment is approved. Include your name and address or email so we can issue you a receipt. Please deposit your donation into the following account, with your name as the transactions reference. Confirm your name and the donation amount by email (treasurer@norwoodorchestra.com) so we can issue you a receipt.